With the year drawing to a close, it is time to look back at 2017. 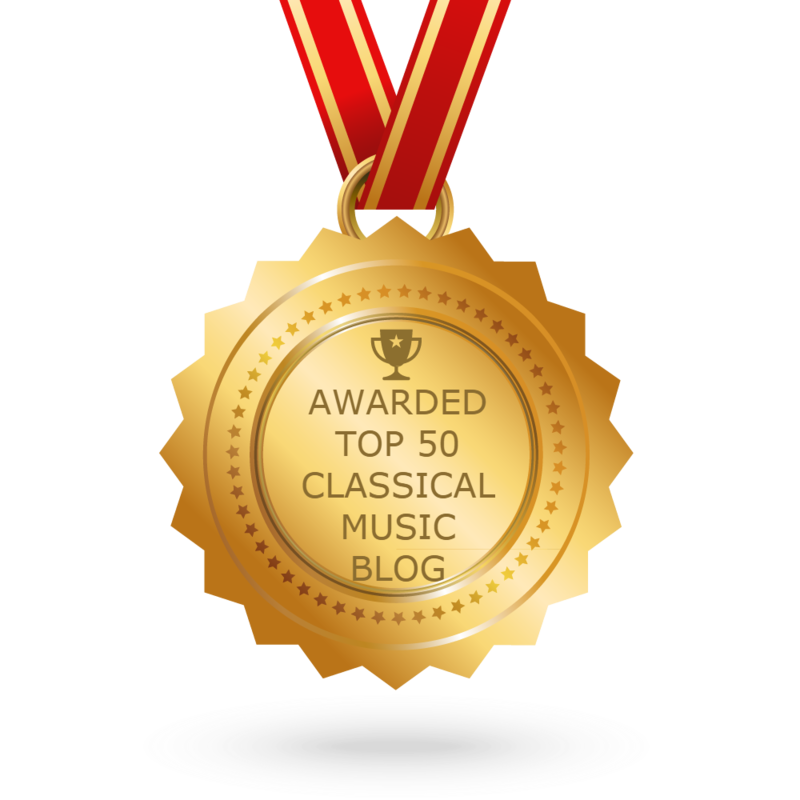 It has been a tumultuous year in many realms, including some aspects of Classical music. But before that, it is good to remember the outstanding musical experiences of 2017 here in the Boulder area. The year began on an expressive high point when Pro Musical Colorado Chamber Orchestra, conductor Cynthia Katsarelis and soloists Jennifer Bird-Arvidsson, soprano, and Ashraf Sewailam, bass, presented Shostakovich’s rarely-heard Symphony No. 14. The February visit of Deborah (Call Me Debbie) Voigt to Macky Auditorium will be a cherished memory for fans of the classical voice. Voigt Lessons, the superstar soprano’s candid retelling of her struggles with relationships, substances, and weight that clouded her career not only showed some realities of life at the top of the opera world, it also revealed the very human person beneath the superstar image. For both reasons, this was a meaningful event. The Takacs Quartet always provides some of the year’s best performances. It’s hard to chose just one, but for 2017 I would single out their February concert including Beethoven’s Quartet in G major, op. 18 no. 2—performed while the Takacs was in the midst of a full Beethoven cycle at several venues—and CU music faculty Daniel Silver, clarinet, playing the Brahms Quintet in B minor, op. 115. An especially beautiful rendering of this beautiful work had at least one audience member in tears by the end. March saw the arrival of another superstar in Boulder when Sir James Galway played at Macky Auditorium, and the departure of an important member of Boulder’s classical music community when Evanne Browne gave her farewell concert with Seicento Baroque Ensemble, the organization she founded in 2011. One of the biggest events of the year for Boulder performing arts was the visit in March of the Boulder Philharmonic Orchestra, conductor Michael Butterman and Frequent Flyers Aerial Dance Company to the Kennedy Center in Washington, D.C., for the first annual Shift Festival of American Orchestras. The Phil repeated a concert they had given in Boulder a few days earlier, including the world premiere of All the Songs that Nature Sings by Stephen Lias and Copland’s Appalachian Spring, performed with Frequent Flyers. Several important changes of personnel were announced for Boulder classical scene in the spring. In April, Jean-Marie Zeitouni announced that he was stepping down as music director of the Colorado Music Festival. He will remain with CMF as principal guest conductor, and conductor/violinist Peter Oundjian will serve as artistic advisor for the 2018 season. Later the same month, James Bailey left his position as music curator of the Dairy Arts Center, to be replaced by Sharon Park. In May, Seicento Baroque Ensemble announced the appointment of Kevin T. Padworksi as artistic director, succeeding Browne, and the Longmont Symphony announced the appointment of Elliot Moore to succeed long-time music director Robert Olson. The same month, the Boulder Chamber Orchestra wrapped up its 2016–17 season with its largest performance to date, Beethoven’s Ninth Symphony presented in Macky Auditorium. The performance under conductor Bahman Saless was unfortunately the occasion of a protest by the anti-fracking group East Boulder County United. Seven members of EBCU blew whistles, shouted slogans and left flyers before the concert to voice their opposition to the orchestra having accepted a contribution from Extraction Oil & Gas. Olga Kern, photographed by Chris Lee at Steinway Hall. Zeitouni proved to be anything but a lame duck conductor at the Colorado Music Festival. The 2017 season started at the end of June with an all-Russian program featuring exciting performances of Shostakovich’s Festive Overture and Rachmaninoff’s Second Symphony. On the same concert, one of Boulder’s favorite guest artists, pianist Olga Kern, gave scintillating performances of Prokofiev’s First Piano Concerto and Rachmaninoff’s Rhapsody on a Theme of Paganini. Other high points over the summer included the return of CMF’s founding director Giora Bernstein to lead a concert of Mozart, Zeitouni conducting Beethoven’s Ninth as the CMF centerpiece, and the visit of violinist Gil Shaham at the end of the summer season. Up in the mountains, Central City Opera’s Downton-Abbey-inspired Victorian-era production of Mozart’s Così fan tutte was one of the year’s highlights for opera lovers. Another delight for the opera crowd came in the fall, with the CU Eklund Opera Program’s serio-comic production of Lehar’s Merry Widow. In November, Saless and the Boulder Chamber Orchestra returned to its core repertoire with a lively concert featuring two youthful works for smaller ensemble: the Concerto for piano, violin and strings by the 14-year-old Mendelssohn, with violinist Zachary Carrettin and pianist Mina Gajić, and Janáček’s Idyll for Strings. Carrettin and Gajić were featured performers in December when the Boulder Bach Festival gave one of its most intriguing and adventurous concerts in its increasingly adventurous schedule. With guest artist Richie Hawley, the program offered insight into the instruments and performance practices of the early 20th century, performed on Hawley’s 1919 Buffet clarinet, Gajić’s 1895 Érard piano, and Carrettin’s violin set up with strings typical of the period. For the classical music world outside of Boulder, the biggest news was certainly the intrusion of a long-overdue reckoning for sexual misconduct that is going on in our society generally. The first bombshell, not unexpected by people in the business but a bombshell nonetheless, landed Dec. 3 with the suspension of conductor James Levine from the Metropolitan Opera and other organizations, including the Boston Symphony and the Ravinia Festival. Accusations against Charles Dutoit, artistic director and principal conductor of the Royal Philharmonic Orchestra in London, surfaced later in the month. Both conductors are in the twilight of long careers. Rumors about Levine have been widely known in the classical music world; indeed I first heard them in the 1980s. Every music journalist I know has heard the same stories, but so far as I am aware, no one who experienced Levine’s assaults was previously willing to speak publicly. In the case of Dutoit, I had not heard the rumors, but I do know one of the women who spoke publicly about what happened to her, and I believe her unquestioningly. As the controversy has swirled about the subject of sexual abuse, harassment and assault in classical music, several critics have written powerfully about the subject: Anne Midgette of the Washington Post, Jennifer Johnson of the Guardian, Andrew Riddles of Classical Ottawa to name three. Singer Susanne Mentzer has written about her personal experiences in the opera world for the Huffington Post, as has Dan Kempson for Medium. There are certain to be more revelations. One major journalist has more first-hand information, with names including some of the of the most famous classical artists, and is preparing an article. I have no doubt that several men are nervously awaiting that story, or some other revelation that reveals past misdeeds. Will this tidal wave reach Boulder? It’s hard to say with certainty. I have spoken with many on the classical scene here, and the only rumor I have heard, from several sources, has been of inappropriate comments and behavior by one person, none of which reached the level of abuse or assault. “He might not have been hired today,” one person speculated, but as so often happens, the people who heard the comments preferred not to make an issue of it. Another person told me he had never heard any rumor from the College of Music, so Boulder may escape the worst of this necessary but unhappy process. In the meantime, it is my wish for 2018 that society in general and the music world specifically create a safe environment, where powerful men do not feel free to behave like adolescent boys. The program featured three ebullient neo-classical works written between the First and Second World Wars. This is music that is ideal for a chamber orchestra of Pro-Musica’s size and quality, and it was performed with obvious energy and enjoyment. Pace Katsarelis, it was not happy throughout, since there were moments of melancholy here and there, but on the whole the program was indeed light in texture and mood. The opening work, Ravel’s Le Tombeau de Couperin (“The tomb of Couperin,” a form of musical homage to a deceased composer), is one of the great works for smaller orchestra. Originally composed for piano, it is a set of Baroque dances stylistically descended from the great keyboard suites of Françoise Couperin. Ravel orchestrated four of the original six dances in the years immediately after World War I. There is a slight sense of melancholy beneath the surface, since every movement is dedicated to the memory of one or more of Ravel’s friends who had died in that terrible war. But the graceful Baroque-style dances are more reflective of cherished memories than mourning, and the music can be enjoyed without knowing the deeper motivation. From the first moment, the crucial wind parts were crystal clear and well played. The strings were occasionally less distinct, but the sound was warm and lovely to hear. The players were secure and achieved a sense of ensemble under Katsarelis’ direction. The final movement (Rigaudon) was particularly enjoyable, with nice contrast among the different sections. Ideally, the orchestra should breathe and move together like the two hands of a single pianist. A certain amount of rhythmic expansion and contraction is an essential part of the style. Instead, I found the interpretation a little rigid and too steady of tempo, but never less than enjoyable. The Concerto No. 1 for Guitar and Orchestra of Mario Castelnuovo-Tedesco, performed by CU music faculty member Nicolò Spera as soloist, was a real highlight. Spera is clearly a master of his instrument who plays with a palpable love and joy in every note. His easy virtuosity made this piece, one of the great concertos for guitar, look easy. He has the ability to take expressive freedom with the music without every losing a strong sense of beat, of meter, and of phrase. The second movement, described by Katsarelis as a sort of farewell to the composer’s homeland of Tuscany before he had to flee Mussolini’s Italy, is wistful throughout. Probably the least “happy” music on the program, it was eloquently performed by Spera and the orchestra. The finale, marked Ritmico e cavalleresco (“rhythmic and knightly”), was delightful from beginning to end. Katsarelis and the orchestra provided stylish support for the soloist. Spera’s joy in playing this music was contagious to all, orchestra and audience alike, making this a performance to relish and remember. The final piece on the program, Stravinsky’s Suite from Pulcinella, is a good example of why we “play” music. Here there is nothing but happy music, and when performed as it was by Katsarelis and Pro Musica, it is fun for conductor, for players, and for the audience. The performance had great energy and drive. The score is filled with solo bits for nearly every instrument in the ensemble, some quite showy, all played with evident virtuosity. Concertmaster Stacy Lesartre gave outstanding technical and expressive leadership for the ensemble, and while I hesitate to list individuals for fear of slighting someone, I have to praise string bassist Paul Erhard, another CU faculty member. I have never heard the bass solos played with greater beauty and purity of sound. The entire wind section—flute, oboe, bassoon, horn, trombone—was outstanding. The only criticism was that the sound was occasionally a little heavy-footed. This may be due to the venue, which is new for Pro Musica: Boulder’s Mountain View Methodist Church. The very high A-frame ceiling may reinforce the longer wave lengths; certainly the bass was well heard all evening. But it was never muddy and the texture was generally clear, which cannot be said of the sound in their prior home, First United Methodist in downtown Boulder. Mountain View has another great advantage over any of the downtown venues: its own parking lot. This is not a musical issue, but it is an important one. Boulder lacks a decent concert venue with adequate parking, and in particular the crowding in central Boulder on busy weekends may discourage some people from making the effort to go to live performances. I see no downside to using Mountain View: the entryway makes a suitable lobby, the sanctuary is comfortable, the sound is good, and the parking seems like a luxury after all the nights I have cruised downtown neighborhoods looking for an open space. I hope Pro Musica will make the move permanent. Edited to correct minor typos 10/22. Cynthia Katsarelis first played Beethoven’s “Eroica” Symphony when she was 16. Since then she has played it, and conducted it, dozens of times, but she still feels she has more to learn. Cynthia Katsarelis. Photo by Glenn Ross. Katsarelis’ latest opportunity to look at the “Eroica” comes this weekend, when it will be the culmination of not just a pair of concerts in Denver and Boulder (details below), but in fact the whole 2016–17 season of the Colorado Pro Musica Chamber Orchestra. The concerts Friday and Saturday will open with the world premiere of a new piece by CU composition student Egemen Kesikli, Weltschmerz (world-weariness or world’s pain). Also on the program is Carl Nielsen’s neo-classical Flute Concert, performed by CU flute professor Christina Jennings. The concerts will end, after intermission, with Beethoven’s Symphony. Weltschmerz was commission by Pro Musica Colorado. The CU composition faculty selected scores by several students, which they presented to Katsarelis. Based on the scores she saw, she selected Kesikli to write a new piece for the 2016–17 season. Nielsen is best known for his expansive, lushly Romantic symphonies, but Katsarelis stresses that the Flute Concerto is not like those works at all. “It’s really a charming, neo-classical piece,” she says. Beethoven’s Third Symphony is one of the best known works in the classical canon, and Katsarelis says it is one of the greatest symphonies ever written. It was longer and more powerful than any symphony written before. But what makes it great, Katsarelis says, is the way Beethoven’s personal struggles turned the symphony into a universal statement of triumph. It was written soon after Beethoven discovered that he was going deaf, and that his deafness would only get worse. Rather than give in to thoughts of suicide, he turned his suffering into music that speaks of overcoming pain and hardship. It is also well known that Beethoven originally intended to dedicate the symphony to Napoleon, until he crowned himself emperor. Out of disillusionment, Beethoven violently removed the emperor’s name from the cover page. “When Beethoven scratched out the dedication to Napoleon and made it to ‘a great person,’ he turned it into something universal,” Katsarelis says. The universality of the symphony’s message can also generate personal impact. “It gets personal, as certain pieces do,” Katsarelis says. “I was playing in an orchestra when my grandmother died. I missed one rehearsal, and when I got back we were doing the Eroica and the first thing we rehearsed was the funeral march. Katsarelis says that “everybody should come” to the concert, because the message of Beethoven’s music is still relevant today. “The triumph in Beethoven’s Eroica was more aspirational than accomplished, even when Beethoven wrote it,” she says. Pre-concert talk, 6:30 p.m. both evenings. The next concert from the Pro Musica Colorado Chamber Orchestra and conductor Cynthia Katsarelis will bring together two opposing worlds. The concert, titled “Love and Death,” will be presented Friday in Denver and Saturday in Boulder. There are only two works on the program: the Symphony No. 14 by Shostakovich, a vocal-orchestral meditation on death; and Schubert’s frolicsome Symphony No. 5. Soloists for the Shostakovich, singing poetic texts by Federico García Lorca, Guillaume Apollinaire, Wilhelm Kuchelbecker and Rainer Maria Rilke, will be soprano Jennifer Bird-Arvidsson and bass Ashraf Sewailam. Conductor Cynthia Katsarelis and her musical colleagues—the Pro Musica Colorado Chamber Orchestra, the Colorado Masterworks Chorus and three outstanding soloists—presented a joyful and enjoyable performance of The Creation by Joseph Haydn last night (Oct. 29). This was the first performance of the 2016–­17 season for Pro Musica, and the only the second outing for the Masterworks Chorus, a new entry into Boulder’s crowded classical music scene. The well matched soloists appearing with them were soprano Amanda Balestrieri, tenor Steven Soph and bass-baritone Jeffrey Seppala. Following a performance Friday in Denver, last night’s performance was in Boulder’s First United Methodist Church. With the chorus on the broad but shallow sanctuary “stage,” the orchestra had to adopt an unusual seating arrangement, with woodwinds behind the strings on one side, brass behind the strings on the other. In a more complex work with tricky coordination among the winds this might have been a problem, but in this case it seemed to work quite well. The woodwinds in particular sounded bright and clear. In the church’s shoebox space the brass had to be restrained to avoid thickening the texture, but for the most part they succeeded. The long, deep space of the church favors the lower frequencies. The timpani, for example, had to be discreet to avoid muddying the sound, and usually succeeded. Katsarelis visually restrained the players throughout, generally keeping the orchestra and singers well balanced and the texture transparent. The choral sound was solid and clear, even with all forces combined, as in the final fugue to the words “The Lord is great, his praise shall last for aye.” While the words from the chorus were not always understandable, the audience had the full text and the lights were, appropriately, left on. This also benefitted the soloists, who were not always understandable, either. This is not entirely the singers fault, however: it is hard to be clearly understood when singing lines like “Softly purling glides on thro’ silent vales the limpid brook,” or “Most beautiful appear, with verdure young adorn’d, the gently sloping hills.” For this you can blame the Austrian Imperial Court Librarian, Baron Gottfried van Swieten, who wrote Haydn’s English text. Alas, his command of the language was not as fine as he thought. All three soloists should be commended for their performances. They have fine oratorio voices and sang their solo recitatives and arias with careful attention to expression. One of the highlights was surely the duet between Adam and Eve—Balestrieri and Seppala—with chorus, “By thee with bliss.” Likewise, their lengthy closing duet “Graceful consort!” drew a spontaneous “Bravo!” from the audience. And I could not suppress a chuckle at Seppala’s solemn delivery of the text “In long dimension creeps with sinuous trace the worm,” one of many delightful moments of text painting in Haydn’s score.